Ugh – Strep Throat Again? In any pediatric practice, second only to, Does my child have an ear infection? 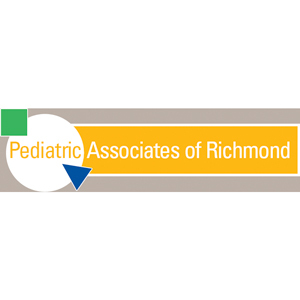 Is this question from parents: Does my child have strep throat? Strep throat is caused by a bacterium called group A betahemolytic streptococcus or GAS. It is spread by direct contact with the mucous of an infected person. It is not easily spread via contact with inanimate objects such as toys or cups, and contrary to popular belief, it is not spread by pets. Transmission occurs in crowded areas and places of close contact such as schools, childcare facilities, and among kids on sports teams. 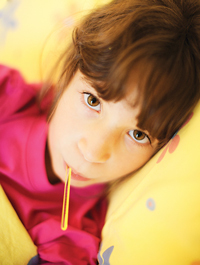 Strep throat is more common in the fall, winter, and spring. And while it can occur at any age, it is seen more frequently among school-aged children and adolescents. Symptoms of strep throat include sudden onset of a sore throat, fever, difficulty swallowing, and enlarged lymph nodes. It may also present with headache, stomachache, vomiting, red spots on the roof of the mouth, an inflamed, or what we call strawberry tongue, and/or a find sandpaper-like rash known as scarlatina. It is not usually associated with a runny nose, cough, diarrhea, mouth ulcers, or hoarseness. Children under three rarely get strep throat, but if they do, they often have a thick runny nose with fever, irritability, and poor appetite. Testing for GAS is important, because the presence of these kinds of symptoms alone cannot diagnose it. Viruses cause seventy to eighty-five percent of sore throats in school-aged and adolescent children. If done correctly, rapid-testing throat swabs are very accurate. If negative, though, a throat culture should be obtained to cover the ten percent false-negative rate. Children under three should only be tested for strep if there is a clear indication of exposure at childcare, preschool, or home. Not all positive strep tests indicate a strep throat infection. As many as twenty percent of healthy children may be strep carriers. They may have GAS in their throats, but it may not be causing their symptoms or setting them up for complications. Carrier status is more likely if other symptoms such as runny nose or cough are present, if improvement is not seen after twenty-four hours of antibiotics, if there is no history of exposure, or if the test is positive between episodes of sore throat. Carriers only need to be treated in special circumstances such as recurrence within the family or a history of complications with strep. GAS bacteria that is resistant to penicillin or cephalosporins has never been identified; therefore penicillin or amoxicillin is the drug of choice. In patients that are allergic to penicillin, another antibiotic may be used. Occasionally, an injectable penicillin is given if a child has a history of difficulty with swallowing medication or if vomiting interferes with oral administration. Of course, the best strategy for every family is to try to prevent strep throat in the first place. Good hand-washing, especially before eating and preparing food, and after coughing or sneezing, is a start. Also, train your child to cough and sneeze into her elbow. If your child is within the age range noted and is complaining of a sore throat, have her tested. If she is diagnosed with strep throat, it’s important to stay home from school or skip activities until she has been on the prescribed antibiotics and is without fever for a full twenty-four hours. It’s also important to complete the full course of prescribed antibiotics, generally a period of ten days, even after the child is feeling better. In the meantime, acetaminophen can be administered to combat aches, pains, and fever. You’ll want to offer soothing liquids, like tea and warm chicken soup or frozen treats such as ice cream, Italian ice, or popsicles to help ease throat pain. Answering that question, Does my child have strep throat? Is important for several reasons. First, your child’s untreated strep throat means lots of other kids will be exposed and sooner or later, they may start to feel just as crummy as your child feels. It also may lead to acute rheumatic fever or acute glomerulonephritis. Rheumatic fever, while uncommon in the United States today, is the leading cause of acquired heart disease in other parts of the world. Finally, treating for strep without an accurate diagnosis leads to the inappropriate use of antibiotics, which beyond exposing your child to the unnecessary side effects of taking antibiotics, contributes to antimicrobial resistance. But perhaps most importantly, if it is strep throat and we treat it appropriately, we should have your child feeling better in twenty-four hours.